Thunderkick released a new slot game called Arcader. Arcader uses a retro theme, hence the name, and comes with 15 paylines. The game also offers wild symbols, expanding wilds, a free spins feature and a bonus game. I must say this game is very nice. It uses great graphics and sounds. If you get 3 or more bonus symbols you will receive 9 free spins. During free spins you can collect one sticky wild symbol on reels 2, 3 and 4. These will stay on the reels for remaining free spins. Theoretically it is possible to fill the entire three reels with wild symbols. If 4 or 5 scatters trigger the free spins all prizes will be multiplied by x2 or x9. Arcader also comes with a mystery bonus game. Get 3 or more M-symbols and this bonus will start. Pick spots to reveal cash prizes, get a blank spot and the bonus ends. Again, as with the free spins, if 4 or 5 M-symbols start the bonus you will receive a bigger multiplier. I especially like the expanding wild symbol on Arcader. When this symbol appears it will transform into the symbol that will offer you the highest possible win. 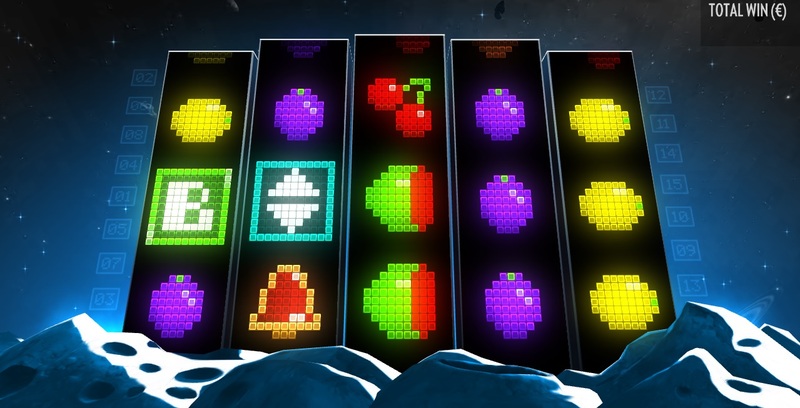 Arcader is a really great new game by Thunderkick, who recently added a couple of great new slots including Sunny Scoops and Flux. For now the game is only available at Casumo, but I think other casinos will add Arcader soon. Casumo is still running their amazing Christmas Tree promotion which you can enter whenever you want and where you can collect a new iPhone 6. Read more about this promotion in my earlier post. Casumo’s Christmas Hunt. And they are also giving away 2 iPad’s on December 4th. You only have to make a deposit on this day to qualify.